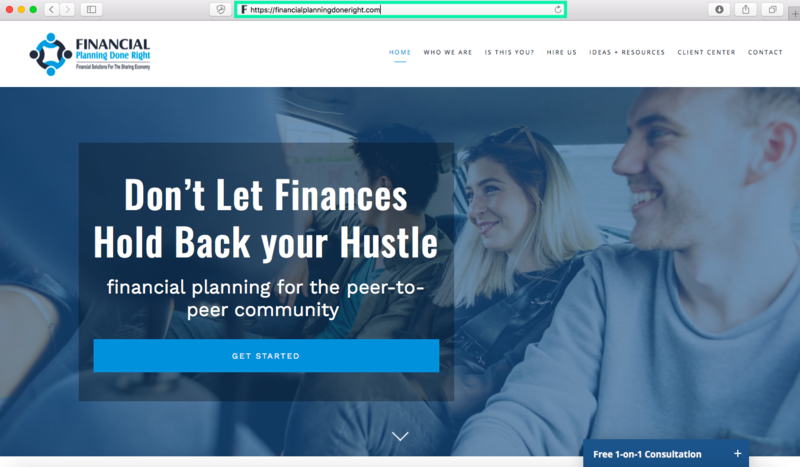 There’s no denying that having a polished website is a critical asset to your financial planning firm’s digital marketing strategy. If your going into 2018 unsure if your current website is up to par then it’s likely it might be time for a redesign. At Twenty Over Ten, we believe your website should attract and engage customers. And in the highly digital world we live in today so many decisions are made online, which is why it’s so crucial your online presence remains current and relevant. If your website was built over two years ago it’s most likely far behind in terms of looks in functionality. We’re going to take a guess too that it has outdated code that may be slowing down its loading speed or they way it responds on different devices (if it’s mobile friendly at all). Additionally, it might also not be compatible with some of the latest popular browsers. Search Engine Land reported last year that already 60% of searches were from mobile devices and the numbers just keep rising. Having website that is responsive is now a necessity. Just think about how often you pick up your phone to search for something. It’s more often then not, right? Developing a website that can be viewed and easily explored on any device is crucial to increase your conversion rate and improve your client experience. Not sure if your current site is responsive? Check out this handy tool. Simply pop in your URL, click go and see if your site is responsive. At Twenty Over Ten, all of our frameworks are created with a mobile-first approach. When developing our frameworks, our designers held priority on a seamless experience regardless of the device a user was viewing the website on. Through our platform, advisors can choose the framework that best fits their business and leverage it on a desktop, mobile phone, tablet, and any device. A website can really start to show its age with content clutter. Meaning, websites that have been around longer or have not been updated for years tend to have accumulated unnecessary content. And we’re not talking about those old blog posts you have laying around – those are actually good to keep! But rather, the long-winded, redundant pages of copy. Mistakes in the navigation of your website not only affect your user experience but they also have a direct impact on your rankings in popular search engines, like Google. According to KoMarketing, 50% of visitors will use the navigation menu to orient themselves after reaching a company’s website via a referral site. Your site navigation should be intuitive to visitors leading them to the information or pages they’re seeking. We also recommend using wording in your navigation that is deliberate and descriptive. Stay away from fancy wording or industry jargon. Rather, make it obvious to the visitor what they’ll get by clicking on the page. Consider using the Google Keyword Tool to determine what descriptive keywords to use in your navigation. Your website’s navigation can be an easy thing to overlook. However, it is one of the most important aspects of your website. Bottom line: if it’s not easy to use, you’re losing business. If your website still uses HTTP your site is living in the Stone Age. When you are working with confidential information everyday, all of your online platforms must be secure. Especially in the financial services industry, the sensitive data you may capture from clients makes your website and business a target for third-parties who may be looking to steal sensitive information. 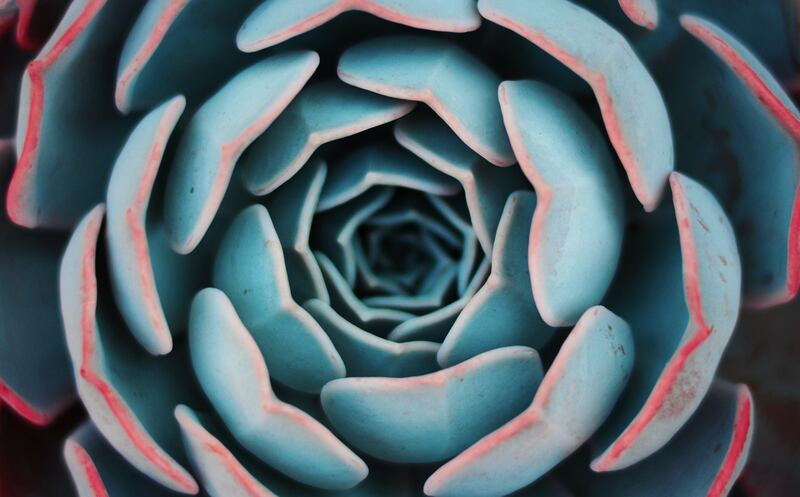 Your clients are trusting your firm to carefully transfer their personal and financial information, whether it’s in-depth documentation or a simple form with their contact information. Clients will expect your website is secure and we don’t blame them! Because of the lack of security HTTP websites have, it is essential that financial advisors have SSL certifications, or HTTPS websites. In fact, Google’s search algorithm will rank your website lower if it does not have an SSL certification. Google will now also warn visitors when they go to load your website that it is not secure and this will most likely scare off any prospective clients. So what is SSL? SSL or a Secure Sockets Layer encrypts data when transferring it between the server and browser. Here at Twenty Over Ten, we integrate SSL in every website we create and design to keep you and your clients secure. All Twenty Over Ten websites are integrated with SSL to keep you and your clients secure. You should always think of your website as a visual extension and representation of your brand. You wouldn’t want to poorly portray your brand now, would you? We didn’t think so. Web design trends change rapidly and if your website is just a few years old it can start to look real outdated real fast. Today’s look is all about clean design and easy navigation (see our point above). According to ResearchGate, 94% of people say that websites with good designs are more trustworthy. It’s true, design trends come and go but there are some trends that we promise are likely to never return. Splash pages (that say “enter here”), flash animation, image carousel’s and anything that blinks on and off are long gone. So if your site includes any of those it’s time for a refresh. At Twenty Over Ten our award winning designers have taken into account the specific needs of financial advisors and broker dealers to develop only the best website frameworks for your digital presence. 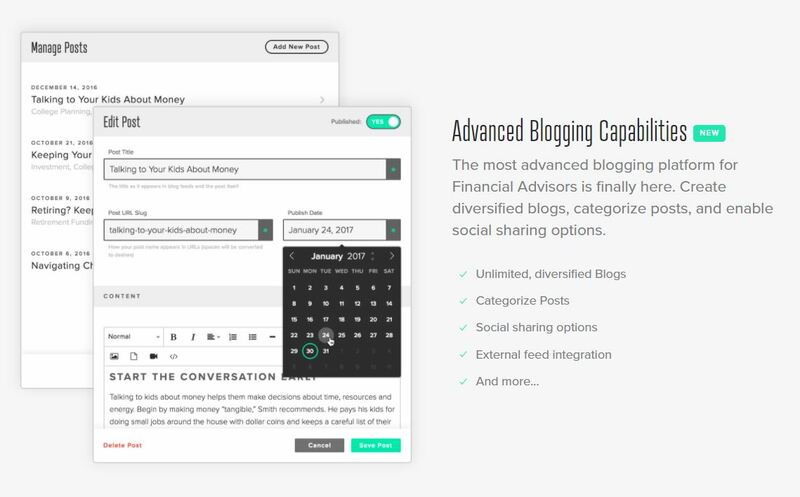 With five highly customizable framework options to choose from the end result is a beautiful & unique site that captures your brand, vision and style. 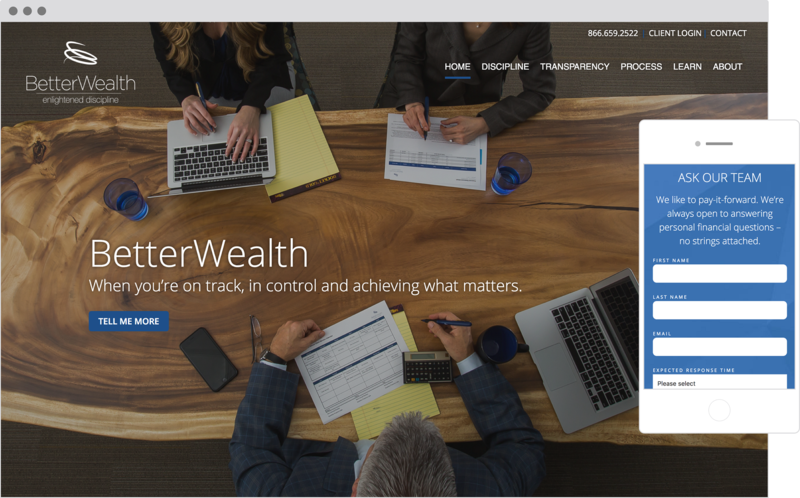 Newly designed website by Twenty Over Ten for BetterWealth. 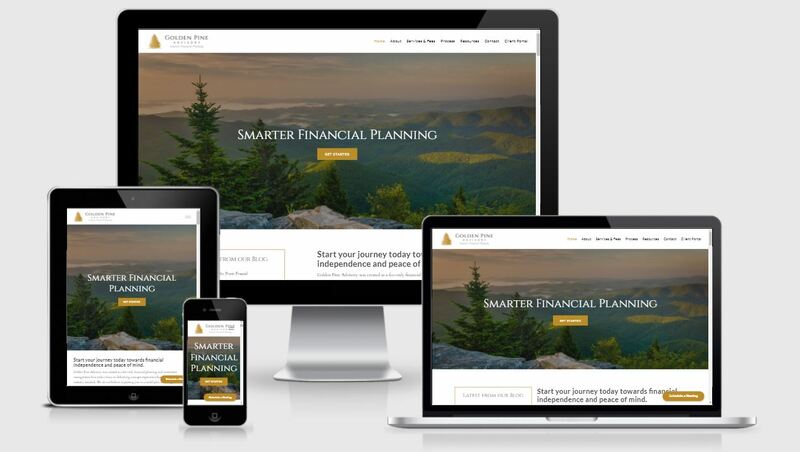 Having a solid digital marketing strategy for your financial planning firm means integrating all of your online content – from your website, blog, social media, calendar and more. It’s now become second nature to find most places of business on social media and it’s not going anywhere. Your website should include links to various social media accounts to not only optimize your site traffic but also provide a better user experience to visitors who want to check you out on social media as well. It’s important that your website and social media work hand-in-hand to promote your online brand. Let us help you get on the right track.